The theme of the conference was Globalisation 2.0: Rethinking Supply Chains in a Changing technological and political landscape. With the advent of new technologies, a changing geopolitical context and ever more pressing concerns about sustainability are we seeing the emergence of a new form of globalisation? 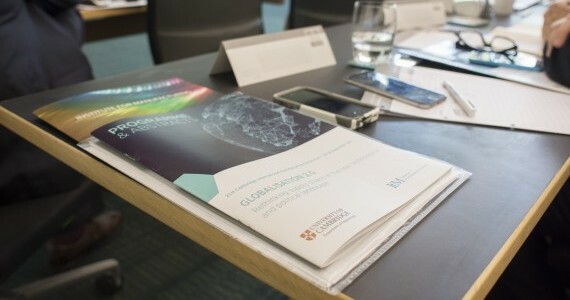 We heard from senior executives from Grundfos, GSK, LSHC DHL Supply Chains, Procter & Gamble, United Nations Conference on Trade and Development and the World Economic Forum talking about the challenges and opportunities global manufacturers are facing. "The days of the large monolithic factory operation, churning out standardised products at global scale located far from the point of consumption seems increasingly at odds with the recent trends for more customised goods, shorter lead times and greater scrutiny on the provenance of the product. Sound labour and environmental practices and resource efficiency in production and supply will drive change. Increased visibility and transparency will enable the ethics of supply arrangements to form part of decision-making around sourcing and supply decisions. These challenges ­- while not altogether new – will shape developments in the footprint of future manufacturing supply chains and will require the attention of industry, governments and academia as we all try to accelerate the shift to a new kind of manufacturing – one that will deliver economic and social value while safeguarding the world in which we live." Next year's Symposium will take place on 27 and 28 September 2018. The 2017 Conference Proceedings is available here.